Since parents can exchange messages with the admin, associated teachers and the associated students only within opensis, messages for only such users can be composed from the parent's portal. This feature of messaging behaves like an email except the discussion thread stays within the application. Messages are real-time and are stored in the database. To compose a message, go to Messaging >> Compose Message and a messaging box appears. 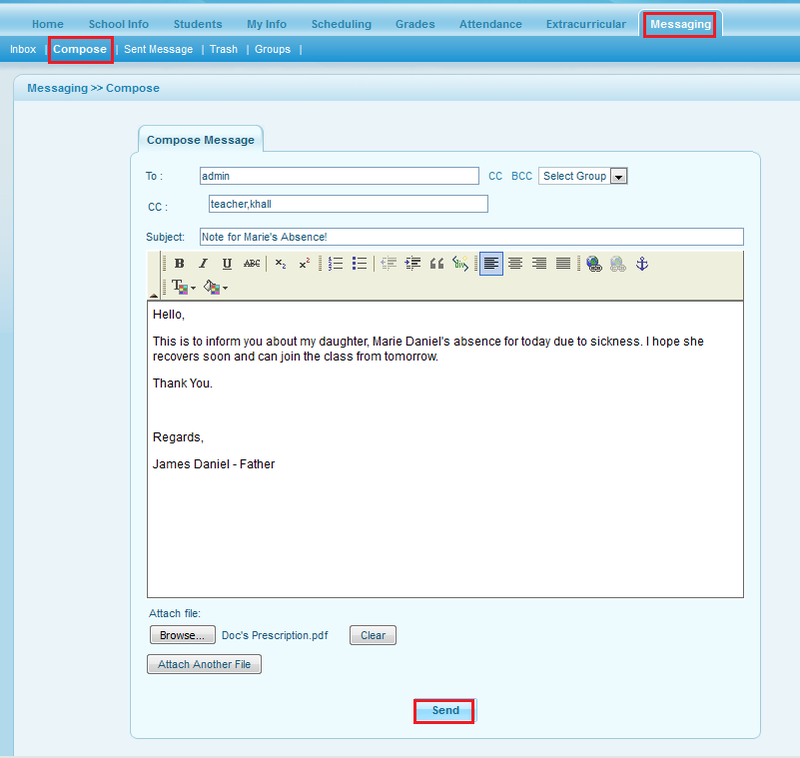 Compose the message for the users and you can even upload attachments along with the message and hit on send button. A confirmation message appears on top for the message as sent.